Ebenezer Medical Outreach, Inc. (EMO) is a full service medical clinic that provides a multitude of services to the working uninsured of the tri-state regions of West Virginia, Kentucky and Ohio. EMO services eight counties, with a combined population of 329,453 with 69,185 individuals living at or below the federal poverty guideline. This number of people is 8.6% higher than the national average, according to the 2000 U.S. Census. Access to primary and specialty healthcare for financially eligible patients at Ebenezer’s medical clinic. 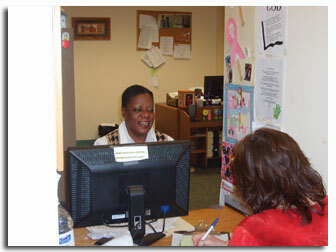 Prescription assistance through the Huntington Area Prescription Assistance Program. This program accessed over $1 million dollars worth of pharmaceuticals for patients in fiscal year 2016-2017. Save Our Sisters (S.O.S.) – Natural lay helper program that provides education, counseling, and screening referrals, related to breast, cervical and ovarian cancer to seldom/never screened women of the region. Concerned Residents United to Stop AIDS (CRUSAIDS) – Outreach that provides HIV/AIDS education and risk reduction materials and access to HIV testing for the region. Dental Clinic – Because many of our patients suffer from poor dental history we provide extensive, at times restorative work to patient’s mouths for a $20.00 donation. My Brother’s Keeper – Natural lay helper program that provides education, counseling, and screening referrals to men for prostate cancer. EMO will be interviewing for new patient appointments every Wednesday of the month from 8:00 a.m. until 11:00 a.m and every Thursday from 1:00pm to 3pm.. To see if you qualify please call for more information @ 304.529.0753 ext. 113. Ebenezer Medical Outreach, Inc. (EMO) is a full service medical clinic that provides a multitude of services to the uninsured and underinsured of the tri-state region of West Virginia, Ohio, and Kentucky. EMO services eight counties, with a combined population of 329,453 individuals living at or below the federal poverty guideline. This number is 8.6% higher than the national average, according to the 2000 U.S. Census. Pharmacy – Prescriptions written by medical providers are filled in our in house pharmacy. Dental Clinic – Acute emergency dental care as well as restorative care is provided to EMO patients by volunteer dentists. Outreach – The following programs have been developed aimed at eliminating health disparities.